We often host groups of kids interested in helping animals, and the pets at the shelter truly enjoy the company. 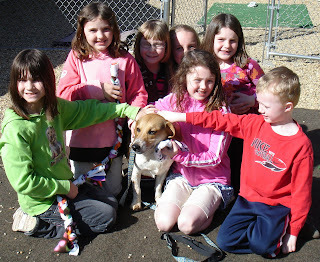 Last week a troop of Brownies came for a visit and Cooper the Beagle enjoyed having his picture taken with them. 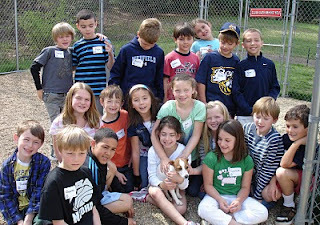 Yesterday a group of 2nd graders came for a visit and Abby the Jack Russell was thrilled to have so many laps to sit in. Both groups collected donations of supplies, and the Brownies made some very fun fleece dog toys that are canine friends are enjoying. Harry is Enjoying the Boating Life!